The zombie apocalypse might not have hit quite yet. We don't have to carry weapons in the streets and nail boards over our windows. Still, it might be nice to have a reminder of the inevitable. Yep, we said it. The inevitable. Sooner or later be it a blood-borne virus, a curse gone wild, or some kind of fungus, it's going to happen. It's good to be ready. And if that means never wearing flip flops and avoiding garden level apartments, so be it! Flip flops are no good for arch support anyway. Great for Halloween decor and gifts for zombie enthusiasts, this sign measures just under a foot long so it can be seen from far away while still remaining convenient to store. 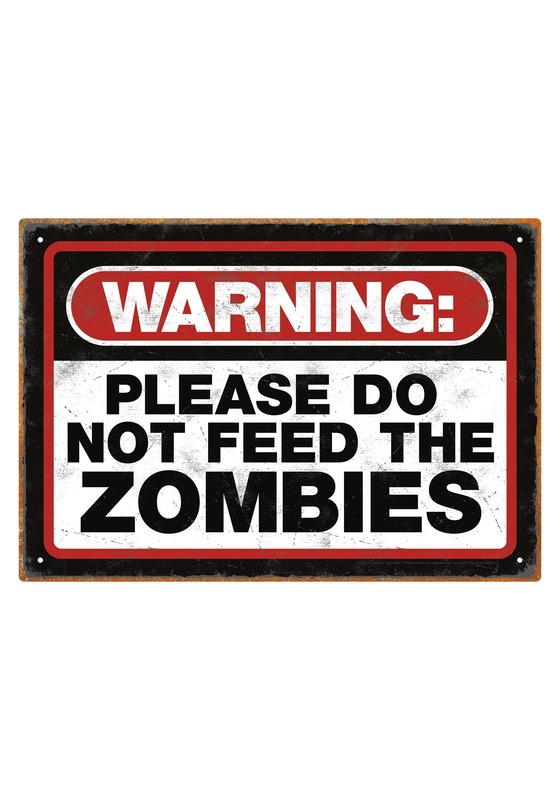 This sturdy metal sign is a unique feature that'll remind everyone around you to stay swift, savvy, and safe should the walkers come around.